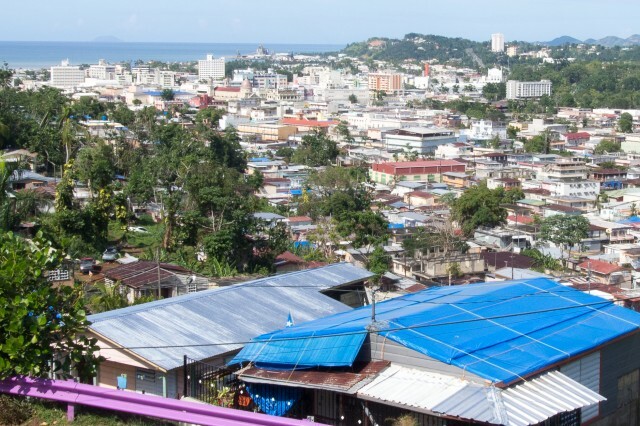 SAN JUAN, Puerto Rico -- With the new year fast approaching, Quality Assurance specialist Andrew Lorenz was busy visiting Operation Blue Roof installation sites in neighborhoods across Mayagüez, a city of 80,000 people on Puerto Rico's west coast. 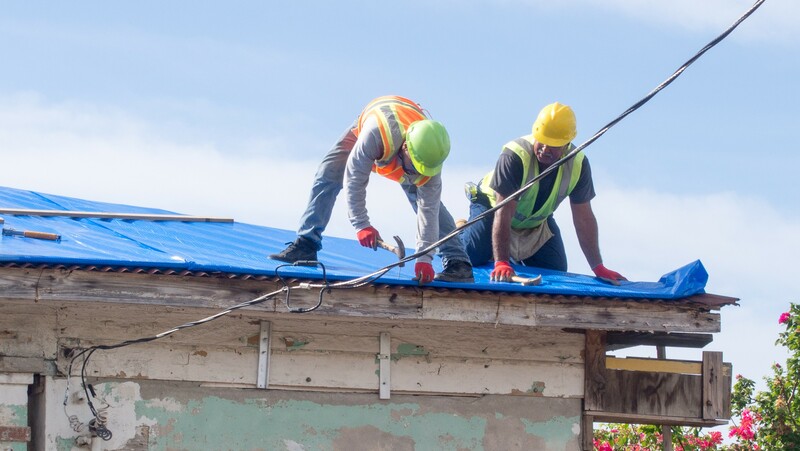 Here and across Puerto Rico, the effort to provide residents with the temporary blue roofs has gained steam, with nearly 8,000 installations occurring island-wide over the past two weeks. Operation Blue Roof is a program managed by the U.S. Army Corps of Engineers on behalf of the Federal Emergency Management Agency (FEMA). 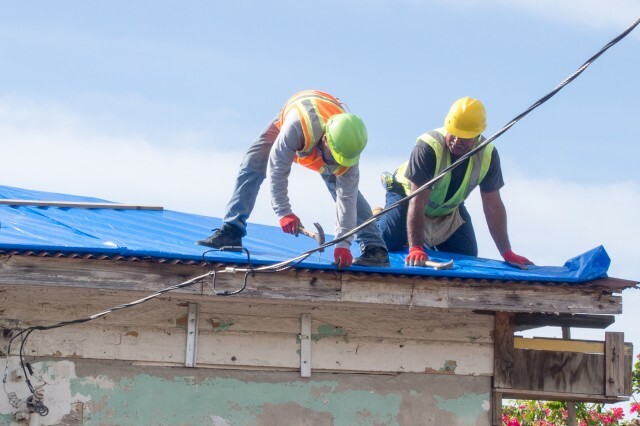 The program's goal is to help protect property and allow residents to stay in their homes after a natural disaster by providing temporary, plastic-sheeting roofs to eligible homes until permanent repairs can be made. The temporary roofs are designed to last 30 days. 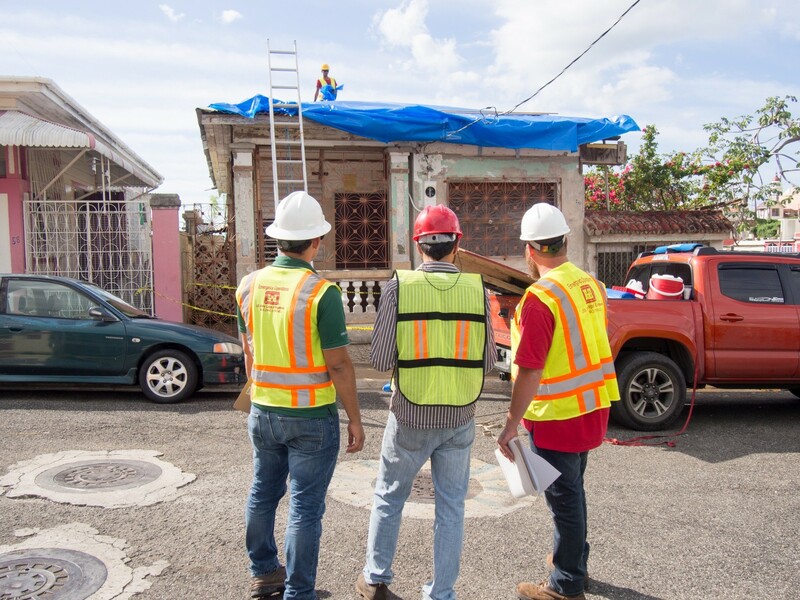 To date, the U.S. Army Corps of Engineers, working with government contractors, has installed more than 30,000 blue roofs to help Puerto Rico residents recover from Hurricane Maria. By Dec. 27, the average number of installations had reached approximately 800 roofs per day. In Mayagüez, Lorenz said his Quality Assurance team is seeing a transition in their work as the mission progresses. 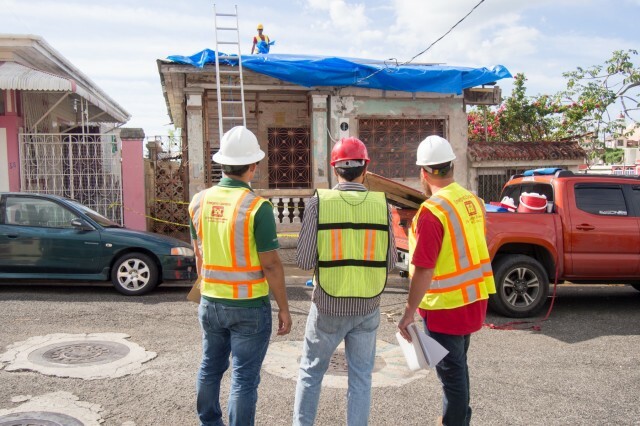 During the initial stages of the blue roof effort, the Quality Assurance teams focused on obtaining Right-of-Entry (ROE) forms from residents who requested a blue roof, and performing the initial assessments. Now, they are doing more material adjustments requested by the contractors during installation, and checking on homes that have already received blue roofs. "There are still new ROEs and still new house assessments that are going on, but a lot of this area you see has been covered," Lorenz said. "You see blue roofs all over the place. So a lot of our work is [quality] spot checks and adjustment forms." An adjustment is required when contract crews begin working on a blue roof installation and find that they have either too much or too little material - such as two-by-fours, plywood, or reinforced plastic sheeting -- to do the job. "Once they actually get up on the roof, they can get a better picture of what they actually need," said Lorenz. "We'll get a call from the QC [contractor Quality Control specialist] saying we either need more wood or we don't need the wood that was on the original work order. So we either subtract or add on an adjustment for materials." The Corps' Quality Assurance teams coordinate closely with the QCs to make the material adjustments as quickly as possible. They also work together if there are any fixes that need to be made to blue roofs that have already been installed -- for example, if heavy rain or wind causes any pooling or leaks in the roofs. "After a big rainfall, you'll get calls that a [blue roof] is leaking," Lorenz said. "Then we'll coordinate with [the QCs] on whatever complaints we're getting, to get it fixed." February 22, 2019Maricarmen builds her future with the U.S. Army Corps of Engineers.